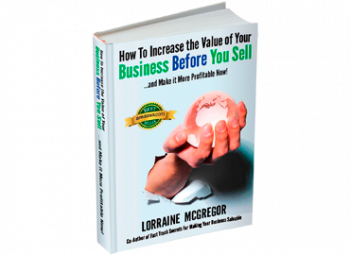 It can be hard for an owner to evaluate whether to sell and when to sell or if the company can be sold. But if you are counting on the proceeds of that sale to fund retirement and have less than $ 1million put away, then you need to know some facts. 1) Decide How Much You Want to Live On If you want to live on more than $40,000 per year, expect to put away more than $1 million in savings between now and when you want to retire. How many of us can live on $40,000 per year, especially when post-exit we will then have time for travel and fun? 2) Decide How You Will Build that Nest Egg Expect that you may have to curb your lifestyle spending today, to get that kind of cash put away for tomorrow. How many of us would choose to live on two-thirds of what we have today in order to have more than $40,000 a year in income 5-10 years from now?!!! Trade-in that luxury vehicle for a Honda? Skip the vacations to Europe? Stop renovating the house? 3) Don’t Like These Options? Build a Better Back Stop In our focus groups, owners tell us that they expect to fund their retirement from the sale of their business. Sorry, that’s like hoping you will win the lottery to fund your retirement. Given that even successful companies are not managed in a way to be transferrable and saleable (which is why the statistics are showing that 90% of owners fail to sell), owners must learn how to make the business saleable and get it done 2-4 years in advance. So if we don’t want to live on $40,000 per year and we don’t like the idea of a reduced lifestyle now, then it’s time owners learn what it means to have a saleable business. 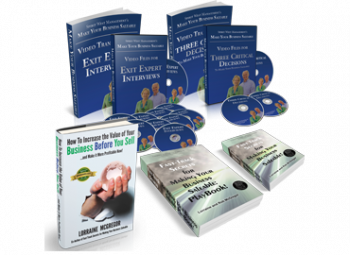 To learn what it means to make this decision and how to have a saleable business watch this webinar where James Ferguson, CA and a private banker with RBC Wealth Management and myself go through these financial options to help owners understand how to get the future we all really want as business owners. 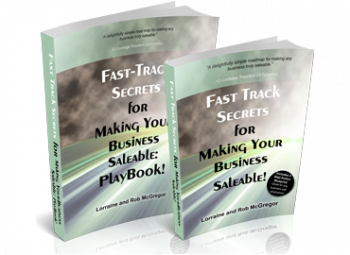 It’s eye-opening and full of actionable advice.